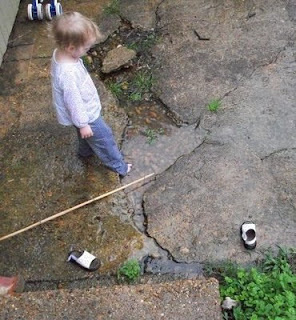 Anna Claire found it necessary to take off her shoes while splashing in some water. 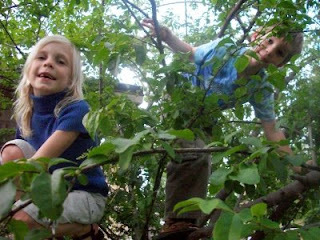 Recently Allie and Ben have taken to climbing on this tiny tree. No limbs (human or otherwise) broken yet! 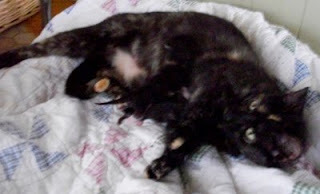 Our ugly black tortoise shell cat had kittens! 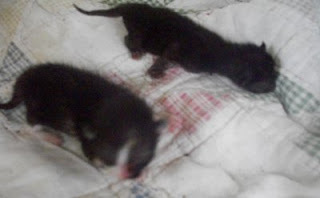 We named them after greek goddesses, Athena and Aphrodite (larger one)! 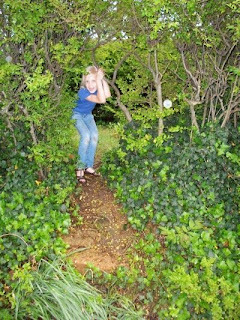 Here is Allie, showing off the entrance to "The Secret Garden". 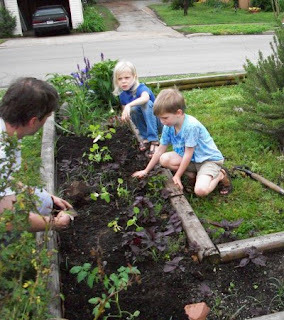 Allie, Ben, and Poppy have been working in the garden a lot lately! 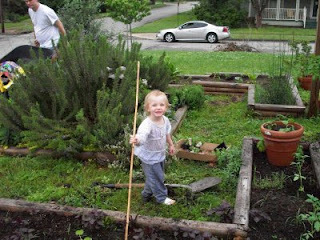 Here is Anna Claire, "helping" people garden. 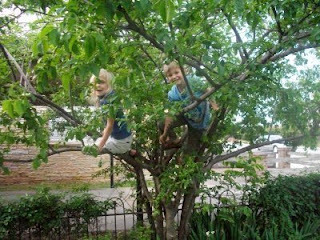 Well, more pictures are on the way!! !